When you’re a freelancer, it’s easy to let work bleed into every moment of your life. There’s always another pitch to send. It’s always a good idea to check your email to see if a client reached out. You can always pop onto social media. Things get especially blurry when you work from home. The problem with always being on the clock is that you set a precedent with clients that you will in fact always be on the clock. 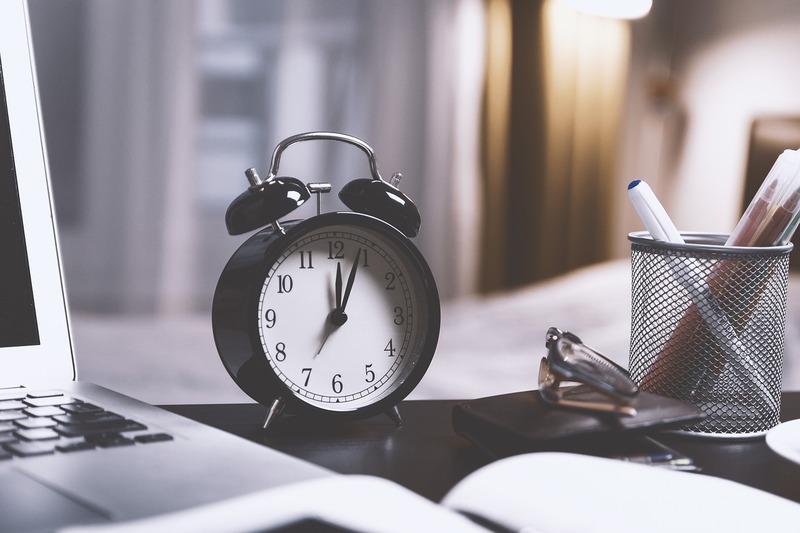 If you land a client and begin your relationship with them by answering emails at 11pm, they’ll expect that for the duration of your work together, you’ll be available at 11pm. Setting firm work hours and boundaries with clients is an essential task for a freelancer. It allows you to take a real break from work, protects your creative energy, and ensures that work doesn’t consume your whole world. Set work hours– Set actual work hours and stick to them. You can let clients know up front when they can get ahold of you and when they can’t. If you tell someone that you’ll be unavailable after 6pm, but answer tests until 10pm, you’re breaking your own rules. Set fees for late payments or additional work- There’s probably not a freelancer alive who hasn’t been paid late. That’s why building in fees for late payments is crucial on your invoicing. Write clearly in the terms and conditions part of your invoice that there will be a fee for late or partial payments. Also, make sure that any additional work outside the original scope of your agreement comes with additional charges. If you agree to do logo work and the client wants you to do social media graphics as well, they need to pay for the additional work. Be clear on the number of revisions– Some clients will ask for endless revisions to your work. If you do’t have a set number of edits you’re willing to do, you’ll end up spending more time on the project than it is worth. Have a specific number of revisions that you’ll do, and add in more money for going over that limit. Have limited means of communication- Today there are almost endless ways for people to get in touch with you. They can DM you on Instagram, Facebook, Twitter or Snapchat. They can email, text or call. For your clients, be clear on how they can reach you. If you don’t want to deal with Facebook messages, don’t respond to people who reach out to you there- unless it’s to ask them to send their message along by email. When you set work hours and have clear boundaries as a freelancer, you do yourself a favor. It will make your life easier, give you back your free time, and help you concentrate on the work that actually needs to be done.